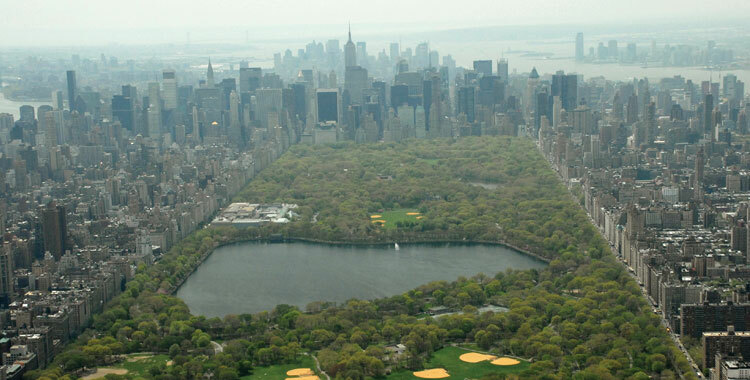 the central park conservancy's annual frederick law olmsted awards hat luncheon is an iconic new york city tradition, and this year i'm gearing up to attend! my heart beats for central park, this fabulous city that I live in, and the amazing central park conservancy. it has been such an honor serving on the playground partners group. i mean really... who couldn't love this place? 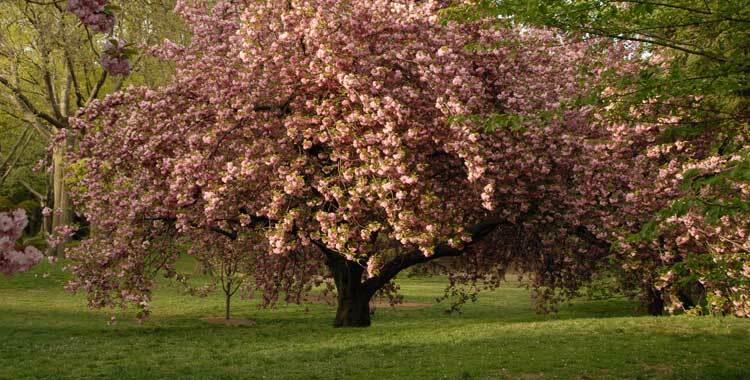 photos from the central park conservancy women's committee. but one of the most iconic things about the frederick law olmsted awards hat luncheon... is the hats! 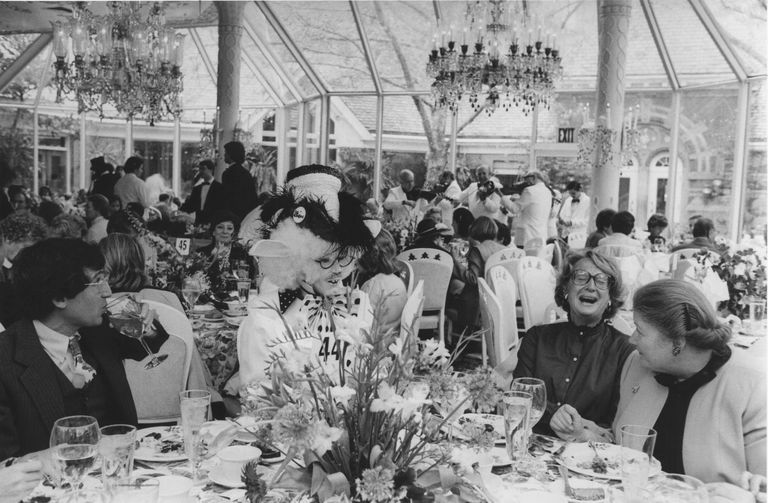 i love this photo from the first hat luncheon in 1983—that hat is crazy wonderful! and i don’t know about you but this picture just has me wishing i could have been a fly on the wall to overhear what was sure to be a lively conversation!….. look at that wonderful woman laughing! it looks like a great time was being had!! while the hat luncheon is one of the funnest tickets in town, it is also a huge fund raising event for the park! 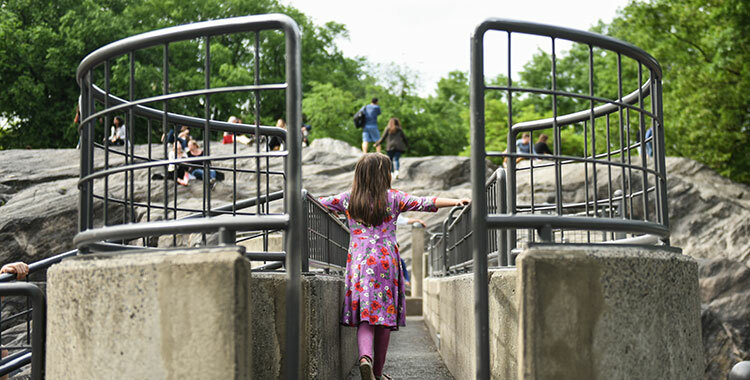 the monies raised greatly effects the upkeep and maintenance of our beloved public playground for kids of all ages! if you’re not familiar with life and history of central park and the central park conservancy i encourage you to check out this amazing short documentary. so, back to the hat luncheon…. as soon as i got my ticket to this amazingly fun annual soiree, i knew i needed to get busy finding the perfect hat for my outfit. my first stop was to my incredibly talented friend's millinery studio: sally caswell millinery. 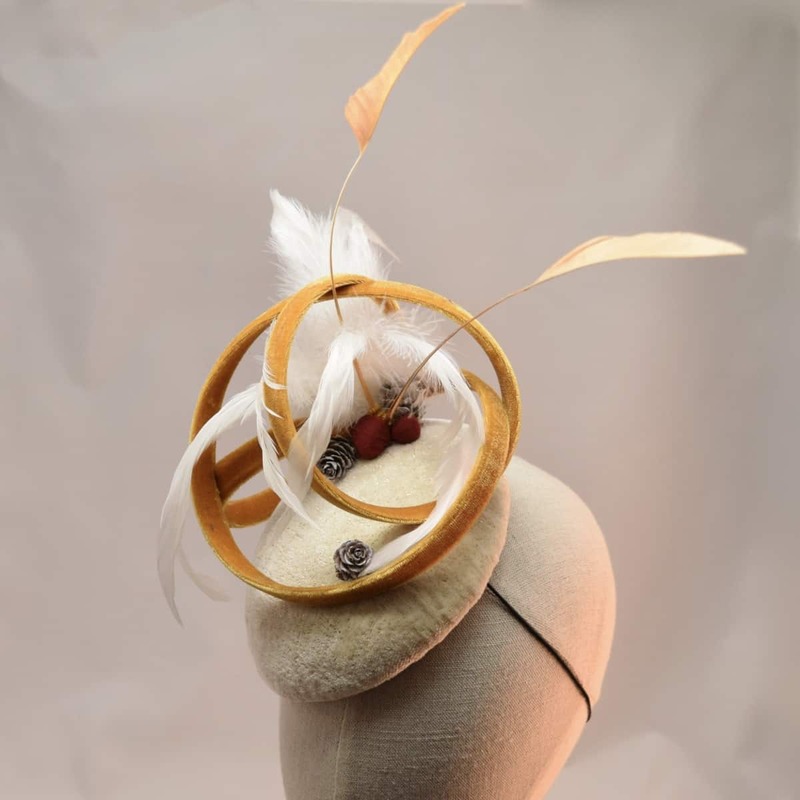 vising her studio, i was struck by how incredibly sculptural and detailed hats can be. as a designer, i was in awe of the way they all seem to be lighter than air. hats defy gravity. they're like ornate flower petals floating gracefully over your head. they're magical, but full of so much structural engineering and hours and hours and hours of incredible detail work! her kentucky derby hats (left) are dramatic and springy! 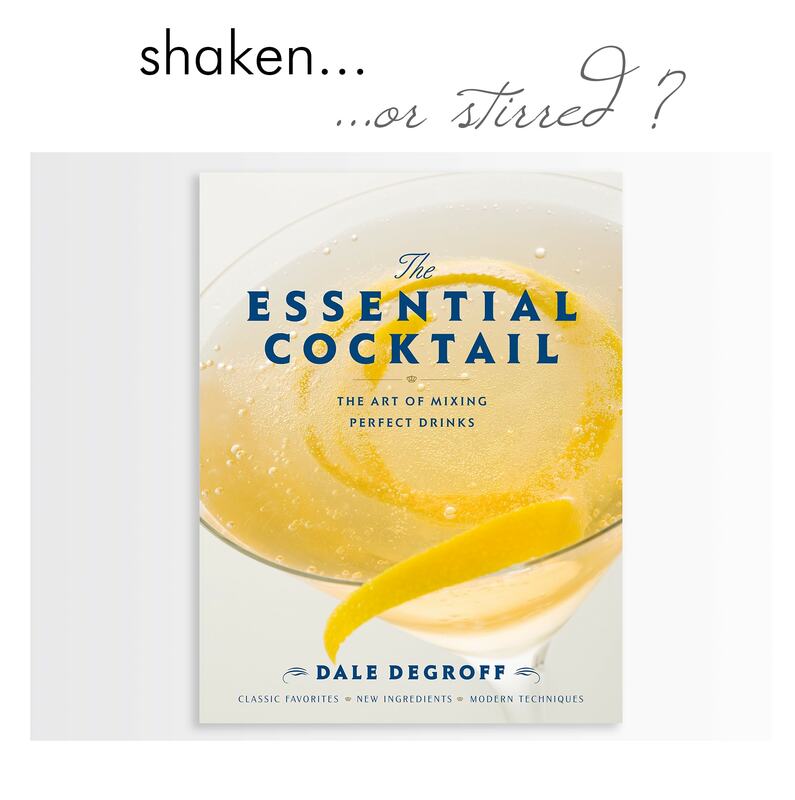 i'm dying for a sip of that mint julep. and look at all those lovely spring colors on the right! the bolts of sinamay and straw are so full of possibilities... but what's really amazing is what she does with it! i'm obsessed with this scuptural little fascinator. the mustard loops are so architectural and bold, especially balanced against the fluttering white feathers. talk about an evening look! this black sparkly hat on the left makes me swoon. can you imagine it with a bright red lipstick and a little black dress? i certainly can... but everyone knows i love a bold red lipstick. and don't even get me started on the hat on the right. how is that even possible? the crisp pleating and scattered beading make my heart race. and those little feathers! it's such a stunning contrast of structure and airiness. it completely disobeys gravity. still breathing? maybe top off your glass of bubbly before you scroll further down... or pour yourself something stronger. you'll need it. oh and drum roll please……. 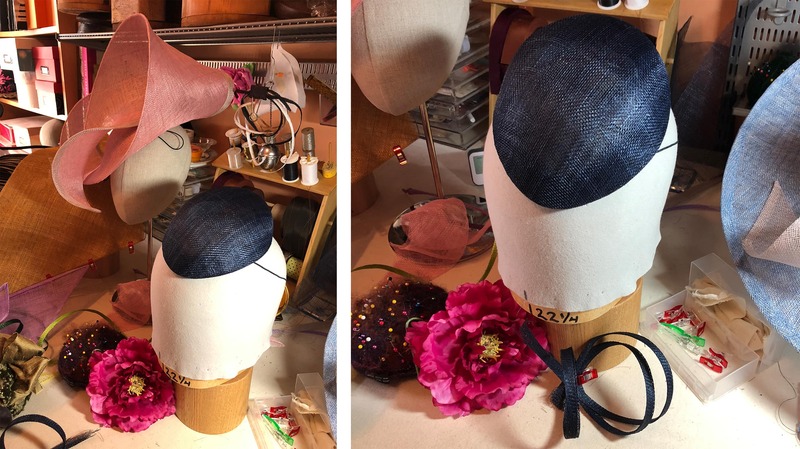 here's a sneak peak at the sweet little bespoke fascinator sally is making for me for the central park hat luncheon. i can't wait! that oversized fuchsia flower is going to set off my dress perfectly. 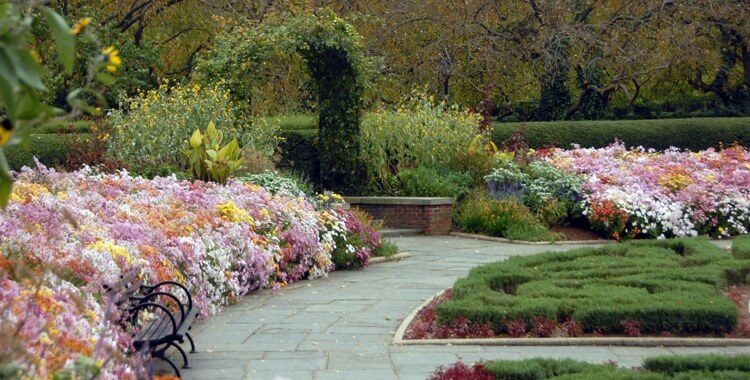 are you going to the frederick law olmsted awards central park conservancy hat luncheon? still looking for your perfect hat? be sure to check out more of sally’s incredible creations at the hat shop located at 120 thompson street here in nyc! central park is such a unique and defining part of living in manhattan, and i love that i get to help support it by attending this exciting luncheon... and even better that we can support it while looking absolutely fabulous. since it's finally starting to feel like spring, i thought it would be fun to share some quick and easy design tips that anyone can do! these are some simple ways to give your home that professional polish. so pour yourself a glass of rosé and relax—i promise these tips won't hurt! 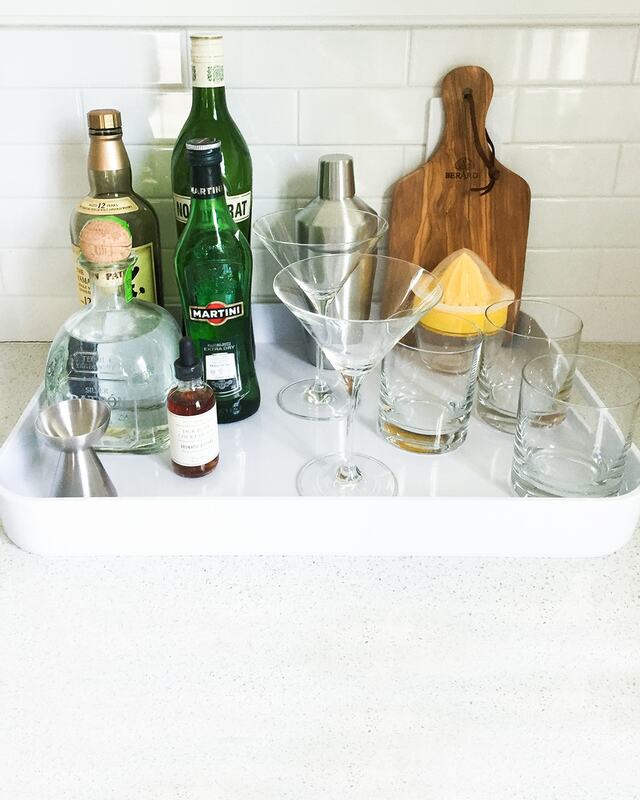 design tip #1: everyone should have a leg on the island. actually, make that 2 legs on the island! and what do i mean by island? your area rug! 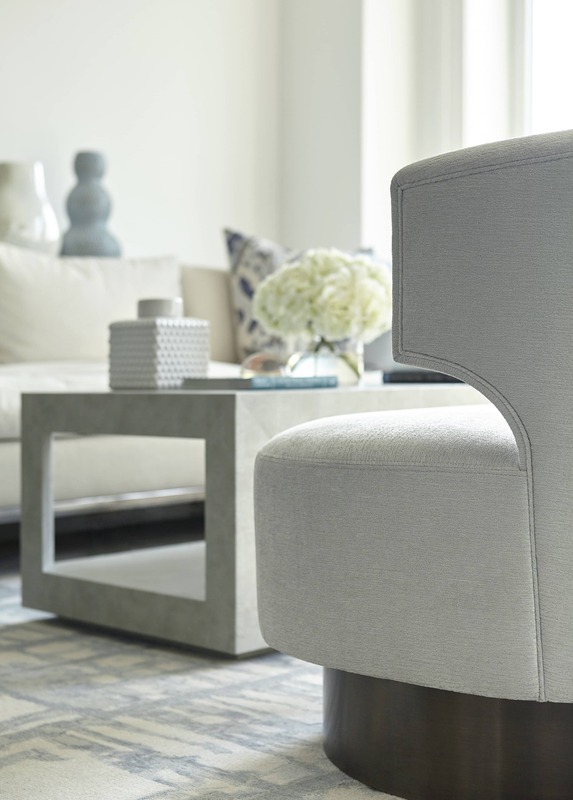 help define your seating area by choosing a rug big enough that your sofa, chairs, and side tables can have at least 2 legs sitting on the rug. this really centers and grounds the space and can help define the conversation area. take a closer look at my designer showhouse bedroom—the front legs of every furniture piece are on the rug. and that side table? completely flat on the rug. want to learn more about area rugs? 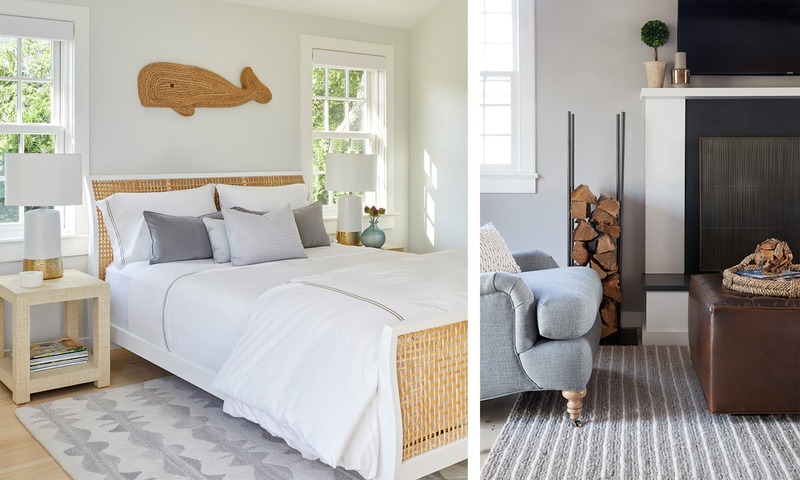 check out last week's blog post about picking the perfect area rug. design tip #2: hang your artwork at the right height. 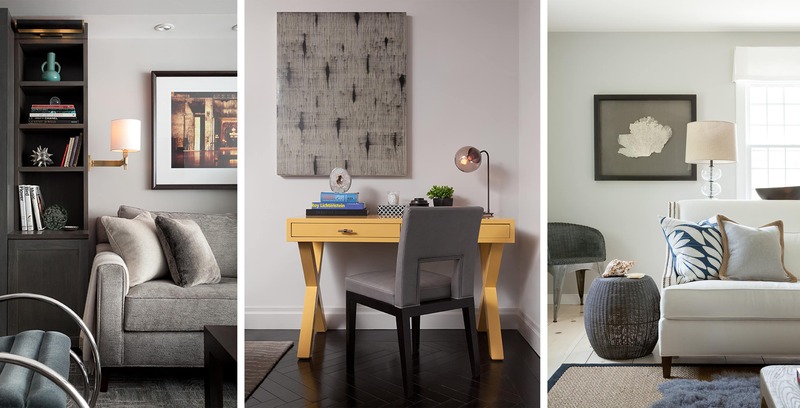 taking care with your art selections and positioning can really elevate a room. but, i have found that a mistake people often make is they hang their artwork too high. here's an easy rule of thumb when considering how high to hang your art: the center of your artwork should sit between 5 and 5.5 feet off the floor. you'll be surprised at how much this can make a difference! but with every good rule, there are always exceptions! 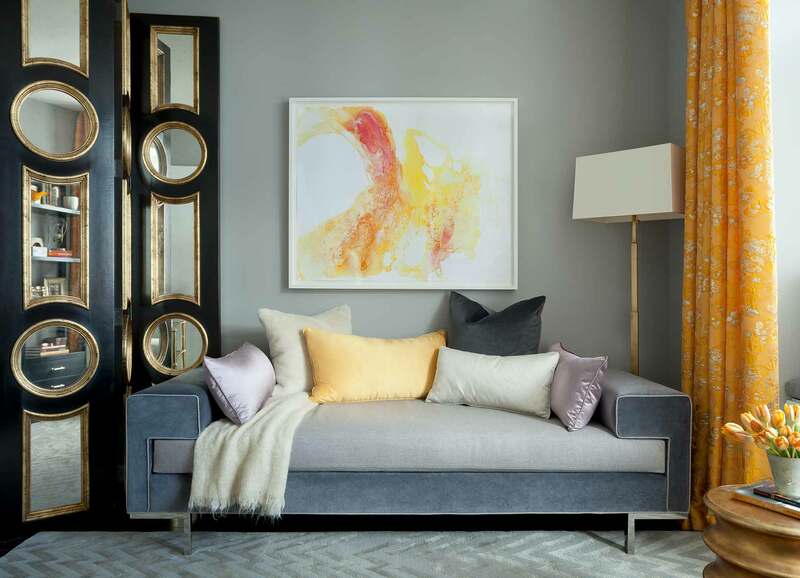 oversized art can come down lower, and art hanging over a sofa should be about 6-9" above the sofa. it's all about proportions and balance. as you can see in my fifth ave living room above, the long narrow painting sits slightly lower because of its size, but the piece over the couch is about 8" above the top of the couch. another thing to keep in mind when hanging artwork is where you are in the room when you look at it. smaller artwork, no matter how big the matte and frame, is better appreciated close up. i like to hang it on smaller walls, or in areas you walk by and can look at it closer up. to really elevate your space, don't neglect your frames! your frames are like jewelry, and the right necklace can really make an outfit pop! if you're here in nyc, i can't recommend j.pocker enough. they're my go-to for custom framing, and the quality is exquisite. are you feeling lost about how to curate and hang your artwork? 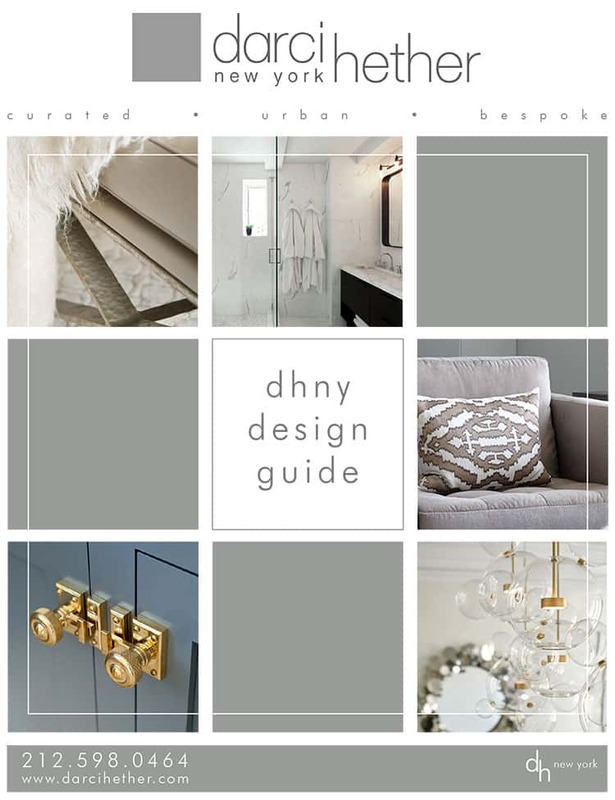 like i said in my 5 myths about interior design blog post, the kind of help a designer can provide is more varied than you might think! one of my favorite services to provide is finishing touches. 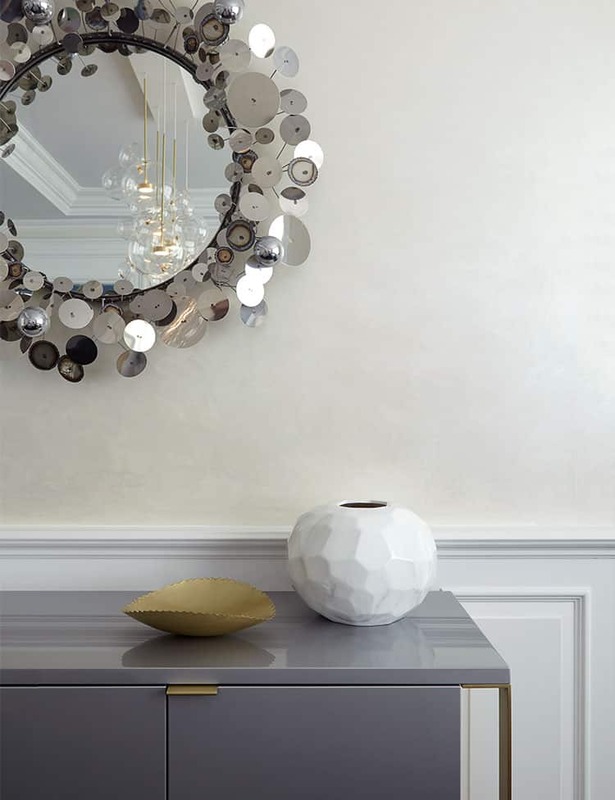 we can help you select artwork and shop for your finishing touches that will style your home to impress. design tip #3: white linens only. i always encourage my clients to go with all white sheets and towels. white linens are elegant and above all practical. 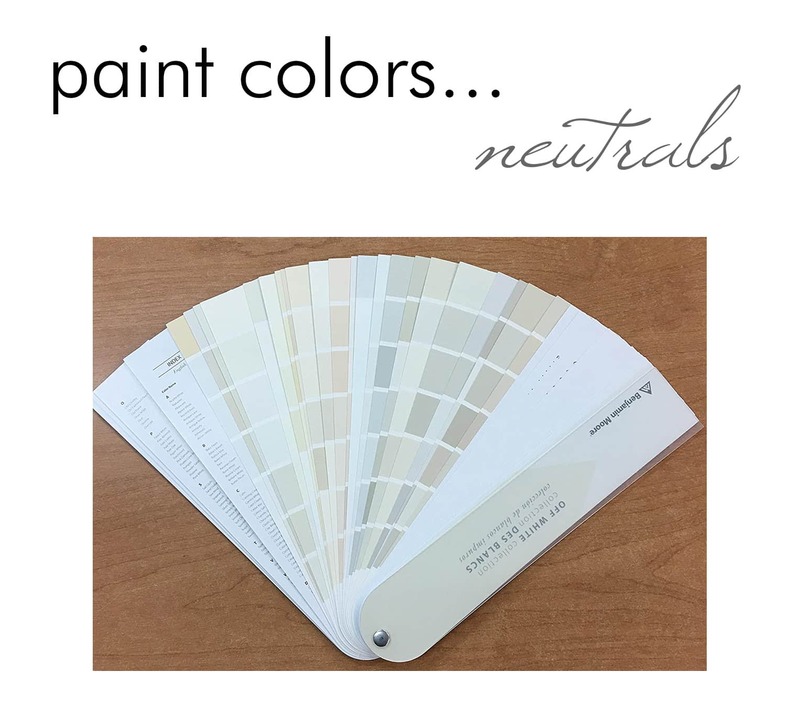 they're neutral, they go with everything, they don't fade, they're easy to clean or bleach... and if you ever need to refresh them you only need to replace 1 or 2 pieces instead of struggling to color match a full set. your pillowcases looking a little worse for wear? with white linens, you only need to buy new pillowcases, not a whole new sheet set! there's nothing quite like the soft embrace of a high quality sheet... and did you know the average person spends 229,961 hours in their lifetime sleeping? 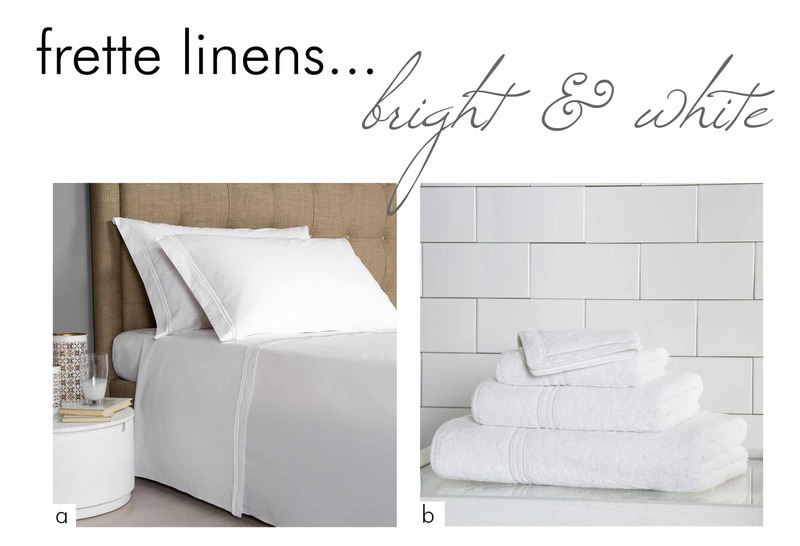 my go-to for my clients is frette's chic but simple hotel collection sheets, and i love their triplo bourdon towels. their linens are luxurious perfection. these linens will make you feel pampered every day. for more advice about designing a bedroom to help combat insomnia, take a look at my blog post about creating a serene bedroom. design tip #4: swatch paint colors on masonite. are you thinking it's time to repaint and need to pick a new paint color? here's a trick i adore: instead of turning your life upside down to paint swatches on the walls in your space, paint the color on a 24x24 piece of masonite. it's inexpensive to pick up at the hardware store and you can walk it around the room to really get a feel for the color in the space. try it in front of each wall and in different lighting conditions to be absolutely certain it's the right color for you! this is also great if you're thinking of one color for your entire home—you might find the color looks great in one room and is too dark somewhere else. or that color you thought would be perfect for the kitchen looks even better in the living room! one thing to consider is that color is all about lighting, and different lighting conditions can really affect the color that you see. the color of your bulbs, the light from your windows, and the time of day can all make the paint color look drastically different. looking for the perfect paint colors? here are some of my favorites. for more information on how to pick out that perfect color, here are some more of my paint tips! 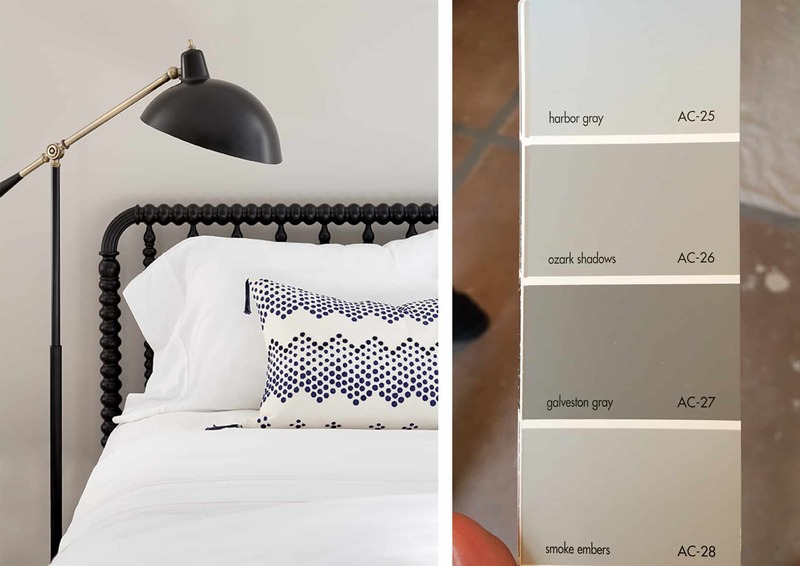 if you're considering painting, take a look at these beautiful swatch book of benjamin moore off-whites & greys. want some more design tips and advice? or enjoy sipping chardonnay while looking at interior design eye candy? 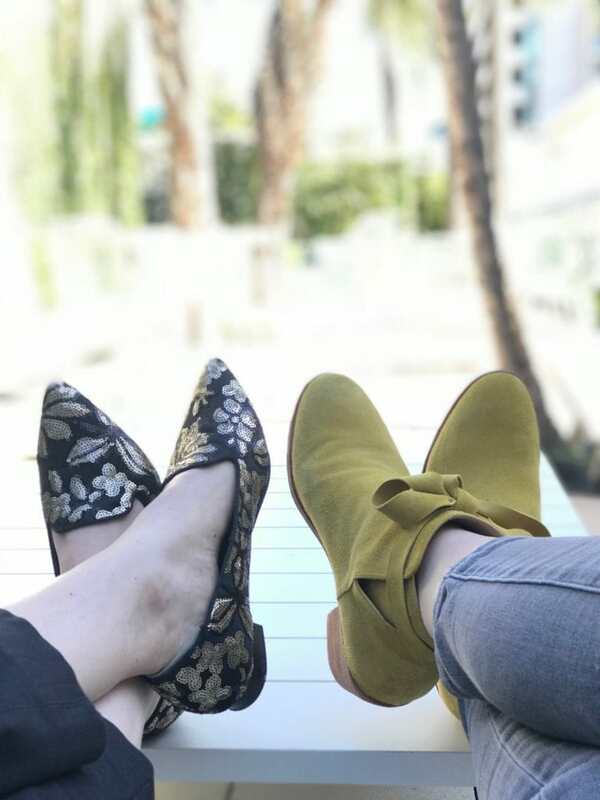 subscribe to the blog for weekly updates, and follow me on instagram! once i am armed with all of the juicy answers we gather from our clients intake questionnaire — what are your favorite colors and textures? what moods are you hoping to create? how do you want to feel in your space? etc — i hit the ground running. ...and i start by running to some of my favorite area rug vendors! 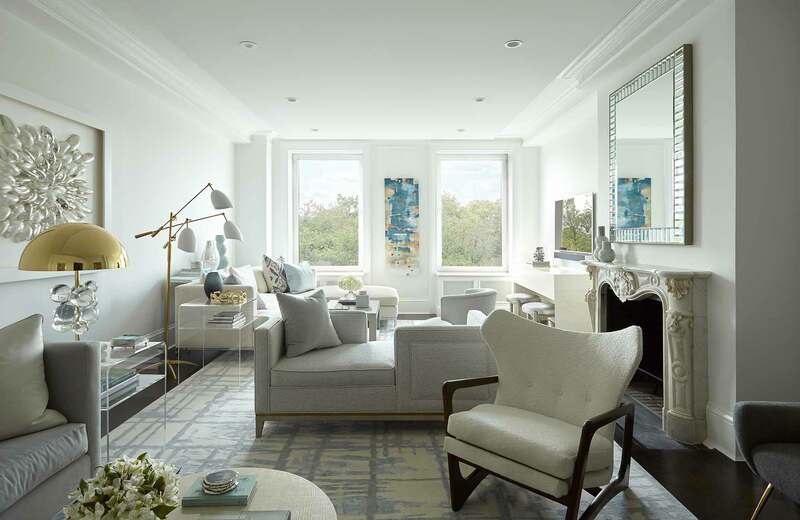 take, for example, this photo from my fifth ave living room (above), the patterned area rug adds a whisper of soft movement to the floor, like a babbling brook. it's elegant, chic, and adds visual interest and movement. 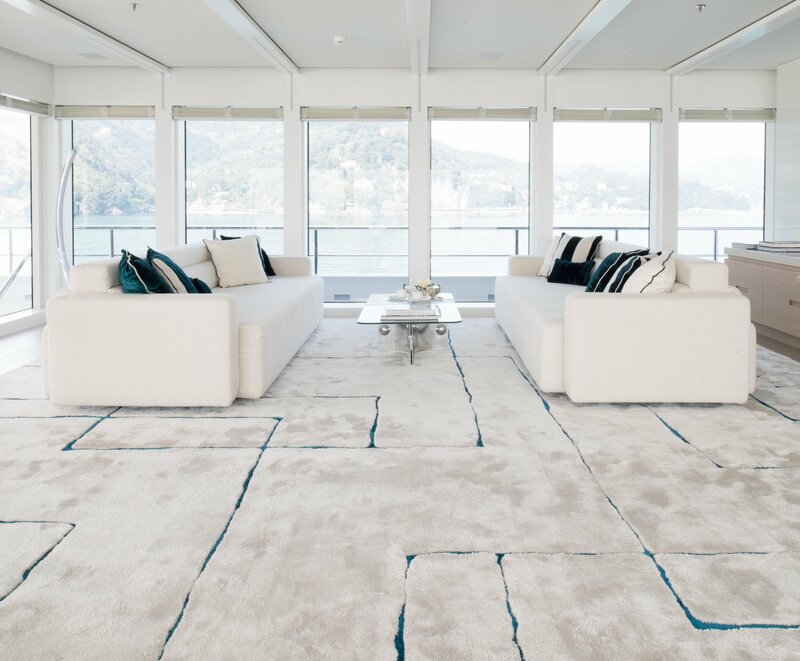 finding the right area rug for your space is a journey. the floor is a room's largest canvas, and i like to approach selecting a rug as one might select a piece of artwork. in the mood boards i create for client presentations, i often start with the drama of the area rug as my foundation, and build up. after i've found the perfect rug, i start swatching other textiles and architectural materials to bring it all together. interested in learning more about my design process? 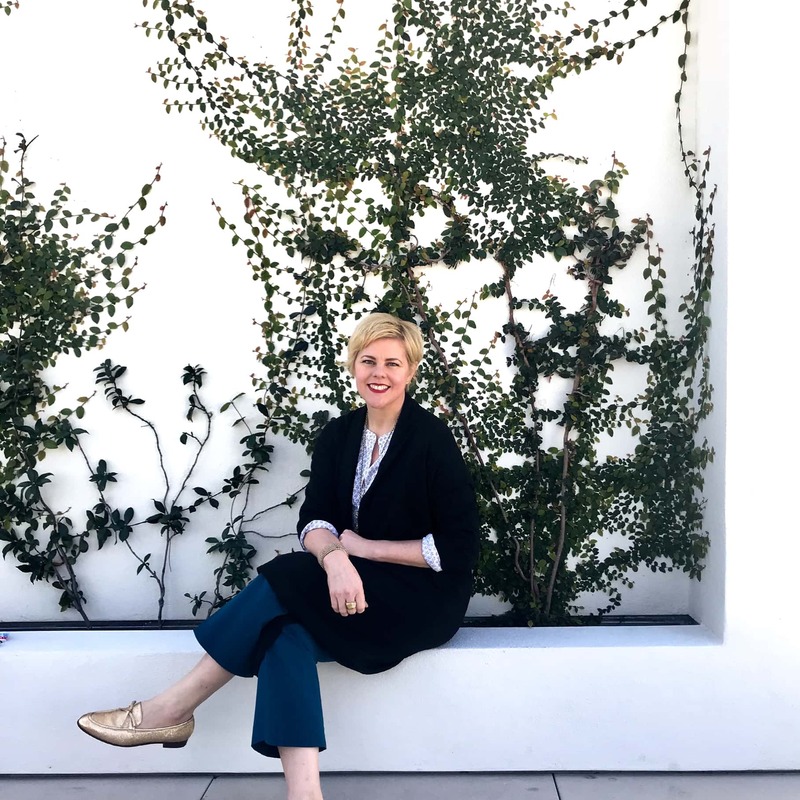 check out my behind-the-scenes blog post about my recent florida project, or my post debunking 5 myths about interior design. this winter feels like it lasted far, far too long. i mean... we got 12" of snow on the first official day of spring! give me a break! and with that, it was spring! 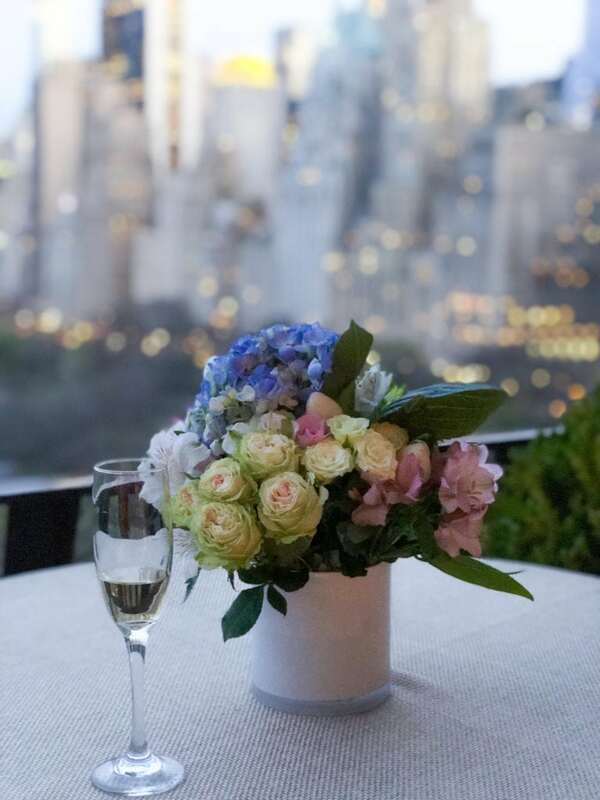 here's a toast to warm weather, fresh flowers, and spring cleaning! because you know what those means? soon it'll be time for sandals, summers in the hamptons, and adventures on the beach... cheers to spring!